The warmer months have arrived! That means it’s the perfect time to get outside and enjoy all of the beauty and fun Summit County has to offer in the spring. As a Breckenridge Realtor, I know firsthand how active this town is in May. Take note of the great events you can experience with your family all month long! Ever wonder about what it was like to live in Breckenridge 100 years ago? Now you can get your questions answered by a local expert! On May 10th at 11:00am, come to the Breckenridge Welcome Center for a fun, historic tour of our intriguing town. Reservations aren’t required. If you’re looking for ways to work off that winter weight, this might be the answer. On May 14th at 6:30pm, join the Free Fit Camp at the Dillon Amphitheater. You’ll learn some great tips for a healthy lifestyle. It’s an event you don’t want to miss! Treat yourself to a night out at the Lake Dillon Theatre Company! On May 17th at 7:30pm, you’re invited to “Orphans.” It’s the story of two Philadelphia brothers whose lives are unexpectedly interrupted by the arrival of a gangster from Chicago. This dark comedy is sure to surprise you. Please note that this production has mature content. Enjoy the Spring Film Series presented by the Breckenridge Festival of Film and the Breckenridge Backstage Theater. On May 23rd at 7:00pm, you can discover two short and diverse films that will really inspire great discussions! Come to the Backstage Theatre to experience this exciting event, which also includes a wine tasting (for an additional fee). Does your child love horses? Then the 4-H Horseless Horse Club could be the perfect event! 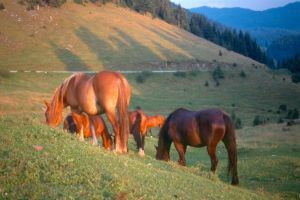 On May 29th at 4:30pm, kids age 7 and up are welcome to the Frisco County Commons Building to learn everything there is to know about horses and their care. From the different breeds to grooming, the kids who attend this event will become experts! Want to Know About More May Events? These are just a few of the fantastic activities available throughout May, which our Breckenridge Realtor team thought we should share. If you enjoy Summit County and are looking to buy or sell a home in Breckenridge, let me know. I can help you from start to finish. Feel free to begin your search by browsing through the updated listings on my website, and when you’re ready to talk through your options or schedule showings, contact me at any time via email ([email protected]) or on my office line. I look forward to working with you!